The Scimitar-horned Oryx no longer lives in the African desert. It is considered extinct in the wild. But this lovely-looking Ungulate hasn’t been completely wiped out because they can still be found at zoos around the world. It’s just one example of a new role that zoos have taken on: preserving endangered wildlife. The U.S. Fish and Wildlife Service lists 361 endangered mammals worldwide. Add in birds, fish, reptiles and other living creatures, that number rises to nearly 1200. That’s why the work of organizations like the Smithsonian Conservation Biology Institute – or SCBI – is so crucial. 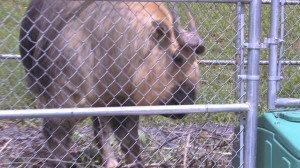 Fortunately for the Oryx, zoos had collected some of the animals before anyone realized they were no longer in the wild. 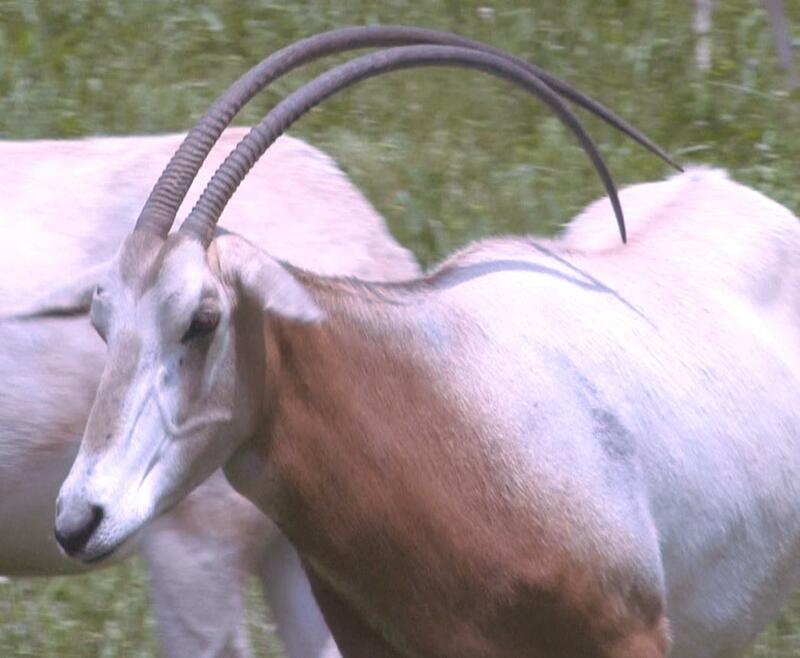 That, says SCBI Director Steve Monfort, means the Scimitar-horned Oryx may eventually find its way back to its natural habitat of North Africa. “After they went extinct, these 40 founders, these individuals that were unrelated from the wild, became this incredible resource for stocking the world’s population in other breeding facilities, but also a resource for potential re-introduction,” says Monfort. The Smithsonian Conservation Biology Institute is located in the hilly countryside of Front Royal, Virginia, about an hour’s drive from Washington DC. Its gated drive is not easily seen from the road, hidden by brush on either side of the entrance. Even so, it would look no different to the driver of a passing car than any other horse or cattle farm in this part of Virginia. 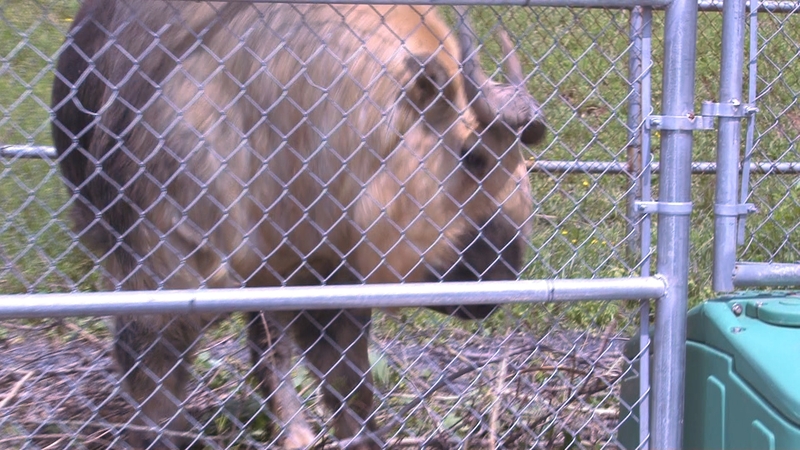 Driving along a gravel road inside the compound, it’s a bit of a surprise to come upon an Asian Takin huffing and puffing near his trough of food inside a chain link fence. Scientists at this gated “farm” research all kinds of animals, mostly endangered, from the Americas to Asia. What the SCBI does, says Steve Monfort, is try to identify projects where they can add particular value with their expertise. The emphasis here is on science, especially reproductive science. SCBI is a state-of-the-art research facility with the ability to freeze DNA and sperm samples from endangered animals around the world. Those microscopic samples, says Pukazhenthi, may be used for research, reproduction – or for introducing some new genes into certain populations of species. The Smithsonian’s reproductive research and collaboration with other institutions recently paid off with the births of a pair of cubs born to two different female cheetahs at the facility. 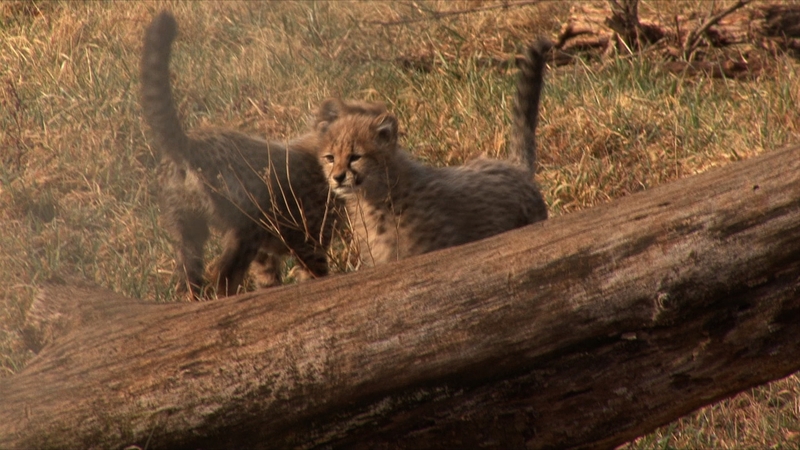 Although these incredibly fast cats are endangered, these two cubs will not be re-introduced into the wild. But they will help maintain the captive cheetah population in North American zoos, and allow researchers to better understand their mating habits in the wild. The primary goal of zoos was simply at one time to entertain their visitors. But the organizations, which once fueled the market for exotic wildlife like the Scimitar-horned Oryx, are now tasked with the duty of saving them. Why haven’t you posted anything in a while. These are great.